"Ten days ago, President Reagan admitted that although some people in this country seemed to be doing well nowadays, others were unhappy, even worried, about themselves, their families, and their futures. The President said that he didn't understand that fear. He said, 'Why, this country is a shining city on a hill.' And the President is right. In many ways we are a shining city on a hill. But the hard truth is that not everyone is sharing in this city's splendor and glory. A shining city is perhaps all the President sees from the portico of the White House and the veranda of his ranch, where everyone seems to be doing well. But there's another city; there's another part to the shining the city; the part where some people can't pay their mortgages, and most young people can't afford one; where students can't afford the education they need, and middle-class parents watch the dreams they hold for their children evaporate." In 1977, when I was an Assistant Professor at the University of Puerto Rico and a graduate student at the Yale University Graduate School, I had the good fortune of meeting Mario Cuomo face to face at a Conference on The Italian-American Immigrant Experience held at Queen’s College, N.Y. I sat across at the same table he was sitting for the luncheon break. He was not yet well known at the time, except for the fact that he had lost an election for lewtenant Governor and another one for mayor of New York city. He must have been in his mid-forties but still youthful looking, while I was in my mid-thirties. As I listened to his eloquent remarks on what it means to be an Italian-American I thought to myself: here is somebody who may some day become our first Italian-American president. That was the same reaction I had some thirty years later when I listened to the speech of another obscure politician, Barack Obama, at another democratic National Convention. As the luncheon progressed Cuomo proceeded to inform us that although he was born in New York from immigrant parents, who had landed in the US with nothing but the clothes they were wearing, his first language was not English but Italian; he began speaking English when he first went to public school at age 6. I certainly could identify with that revelation, given that I too was in the same boat: in my case too my first language was not English but Italian. My own grandfather Emmanuele never learned English albeit he resided in the US for twenty years: my father who like Mario Cuomo was born in New York (Little Italy) only spoke English when he began attending elementary school, then he had to re-learn it when he returned to New York in 1955, so did I at age 14. Considering the above, Cuomo’s sheer eloquence and command of the English language proved astonishing to me. Later I realized that while such a linguistic phenomenon may seem rare, it is in fact found quite frequently among educated Italian-Americans. 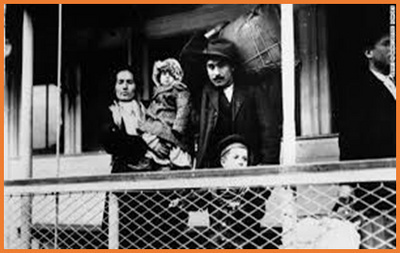 It indicates that if there is an ethnic immigrant group in America who can best hold on to their original culture and are able to create a genuine bridge of understanding and good will between the original culture and the host culture, those are the Italian-Americans. That meeting with Cuomo eventually inspired me to write an article for a scholarly academic journal titled “The hyphen as a bridge between two cultures.” I was surprised when it was well received even in academia. Moroever, a few years later my fellow Yale alumnus Michael Vena snd I organized a symposium at Yale University on Italian-American culture which was well attended by several prominent academics from around the country and even by the president of Yale University, A. Barlett Giammatti, who happened to be an Italian-American and the son of a professor of Italian culture. As we all know, although Mario Cuomo toyed for a while, especially after that famous speech in 1984, with the idea of running for president he never actually did run. That was a disappointment for many Italian-Americans, including myself, who began to sardonically call him “Hamlet on the Hudson.” But it should not have come as a complete surprise given that we Italian-Americans do not consider career and/or occupation the only thing that makes life complete and worth living. We take seriously Aristotle’s insight that to live a full happy (eudaimonic) human life one must also balance harmoniously family and health (both physical and mental). That partially explains the so called mystery as to why Mario Cuomo dod not for president when he had a chance to do so. He had five children and considered his family and the guidance and education of his children just as important as his political career. They have in fact followed in the footstep of the father. the oldest Andrew is presently the re=elected Governor of New York State. Another, Chris, is an anchoraman for the TV news station CNN. Come to think of it, Mario Cuomo himself had a successful political career. While not attaining the presidency his career is all but a shipwrecked one, to the contrary, he was elected governor of New York three times in a row (12 years altogether) and is considered one of the best governors that New York State has ever had. He forcefully reminded the Democratic party, at a time when an intransigent conservatism and individualism, at the expense of the common good, had taken over the country, of what was the genuine identity of such a party and why it remains the party of FDR, the last best hope of the common people and the middle class in America, the backbone of American democracy. Of course, it now remains to be seen, whether or not Cuomo’s sons will reach the ultimate goal which eluded their father. In any case, we owe a debt of gratitude to Mario Cuomo. We shall not see his likes again anytime soon. 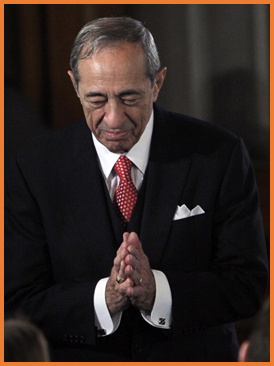 RIP Mario Cuomo!